There is something about these chilly nights that makes me want to curl up in a cozy blanket with a mug of hot chocolate and some thick, comfy socks. These are some of my essentials for getting through cold weather and curling up with a good book. A soft, warm throw blanket works wonders for a drafty living room. I'm personally a fan of a chunky knit & ragg wool socks. I've also rounded up some of my favorite cozy images. What is your favorite way to feel cozy in the fall? The hot chocolate, thick comfy socks, fireplace and warm covers on the bed all sound great to me and winter hasn't come close to starting yet! I'm not ready for winter but I could go for all of the above already. Be careful not to get those socks too close to the fire. I'd better put the storm windows in and locate my long thermal underwear. Knit hats and good socks are essentials! The socks above are cute. I love a big chunky throw with a fire burning and a cup of hot chocolate in my hands! Love all your inspiration pics! P.s. 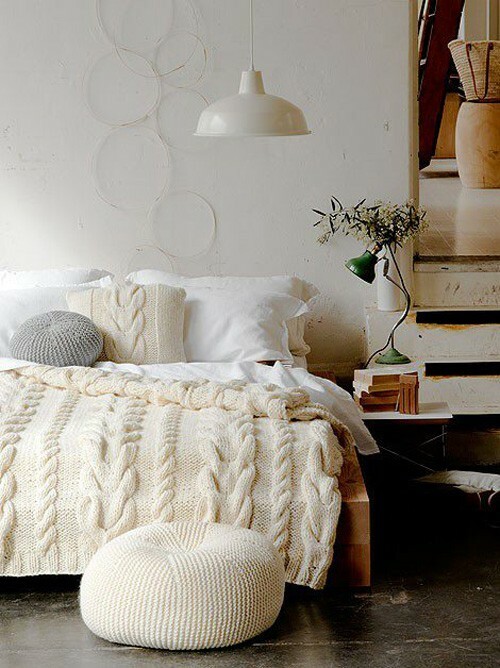 I want that cabled blanket! Send some of this cold down to Florida!! I miss it! 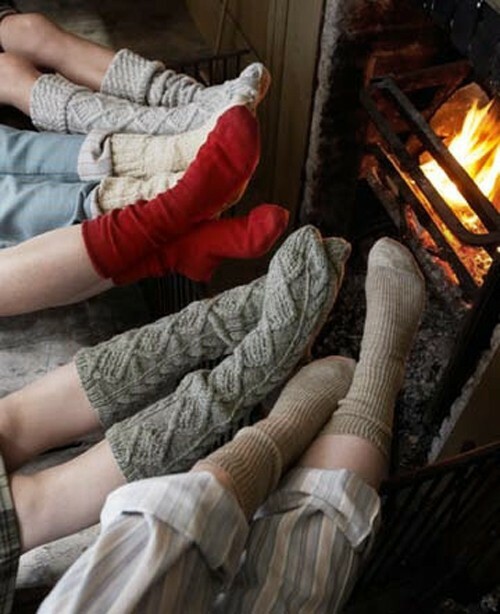 This post reminds me that I need to stock up on super comfy fall-worthy thick socks. I love love love fall. And everything about it. 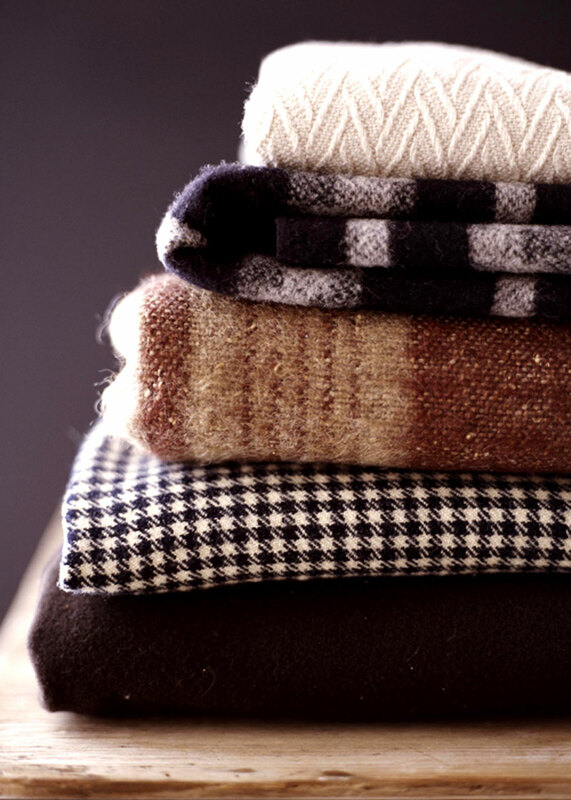 nothing like cashmere to warm your soul. and i would know, i am from chicago. I love cozying up with winter essentials such as mittens and blankets. I just got a beanie hat with headphones already inside: my definite winter essential. I've been drinking tons of tea and eating lots of soup! I also love snuggling up in a fuzzy robe! Cocktails & Little Black Dresses!